Sheriff-Coroner Dean Growdon supports the right of law-abiding citizens to keep and bear arms. In this regard, all qualified residents of Lassen County are eligible to apply for a carry permit (CCW). 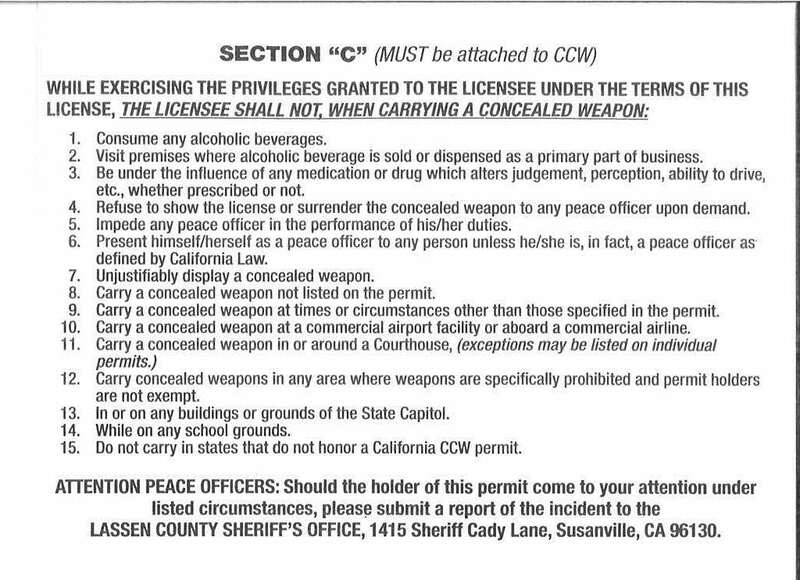 The concealed weapons permit process is governed by California State Law. State law requires all applicants to complete a form as prescribed by the California Attorney General's Office. Applicants will also have to submit electronic fingerprints to verify the applicant is not a convicted felon or have other prohibiting convictions that would bar the applicant from possessing firearms.